Ideal jobs for ISTJs require dependability, integrity, and low levels of social interaction.The rankings below are determined by how important those three traits are to a job, based on ratings from occupational experts. Jobs that require extremely high amounts of concern for others have been removed. All data displayed on this page is from the U.S. Department of Labor's Occupational Information Network and the Bureau of Labor Statistics. See our methodology. These four roles are the best suited business jobs for ISTJ personality types, as they require high amounts of integrity and dependability. A least a bachelor's degree is necessary for all four positions, with median annual salaries ranging from $51,000 to $104,000. Although some of these jobs require working with clients, none require prolonged amounts of social interaction, and none have social interaction scores above 3.1/5. Financial quantitative analysts use mathematics and statistics to assist individuals and companies with financial decisions. Analysts may work for banks, corporations, governments, investment companies, insurance companies, hedge funds, or asset management firms. Because their contribution has such a major impact on company profits, it is essential that financial quantitative analysts be dependable, have integrity, and have the best interests of their employers at heart. For ISTJs interested in mathematics or statistics, a career as a financial quantitative analyst is a good option. A typical day in this role might include sitting at a computer and poring over data to arrive at risk and profit-analysis conclusions and creating and presenting a report that includes recommendations based on those conclusions. Those interested in entering the field will need to obtain a minimum of a master's degree in quantitative finance or financial engineering and should consider getting certified as a CFA. To further advance their career prospects, they might consider doing internships and eventually obtaining a PhD. Regulatory affairs specialists are responsible for ensuring that businesses comply with government regulations. They do this by conducting internal audits and arranging for inspections, registrations, and renewals. ISTJs with an interest in working for the government might consider careers in this area. Daily activities include collecting, preparing, and submitting information to government agencies. Because this role can be crucial to the success of a business, regulatory affairs specialists must be thorough, thoughtful and dependable, with an eye for detail and the ability to moderate stress under pressure. While this field can be entered with a bachelor's degree in the sciences, a master's degree or a PhD will lead to a more lucrative career with greater opportunities for professional responsibility and advancement. Real estate appraisers are trained to value residential and commercial properties by photographing them and then comparing them to similar properties to arrive at a final value. Since appraisers build their reputations on the honesty and accuracy of their appraisals, integrity is the key to success in this business. It is also a stand-out skill of ISTJ personalities, so it follows that appraisal is a strong career choice for introverts hoping to work in the real estate industry. Licensing requirements vary by state, but certification usually requires 75 credit hours of basic appraisal training, plus a bachelor's degree of 225 additional credit hours of college-level courses, plus 3,000 hours of supervised experience over the course of no fewer than 30 months. Investment fund managers provide people and companies with financial investment advice and services. Services can include buying and selling stocks, bonds, equities and real estate on behalf of clients. The goal of fund managers is to make as much money as possible for their clients. The daily obligations of this job require that investment fund managers act in the best interest of their clients at all times, be able to weather criticism, and have a high tolerance for stress. Dependability, a strong characteristic of ISTJs, will help fund managers attract and retain long-term clients. Becoming an investment fund manager is a long process that requires dedication. Some positions may be available to candidates with a bachelor's degree, although many require a master's degree. Finding employment as a investment fund manager is typically followed by acquiring licensure, registering with the proper securities agencies, obtaining advanced certifications, and eventually moving into senior analyst and portfolio manager positions. ISTJs interested in healthcare will find four options suited to their personality type on this list. Dependability is the most important trait in all of these positions; healthcare positions allow ISTJs to utilize this innate skill and consistently deliver accurate and high quality work. ISTJs without a college degree may find a good fit in medical transcription (#2), which only requires completion of a certificate program. Cytogenetic technologists are laboratory technicians who analyze cell chromosomes in order to diagnose and treat disease. The exacting requirements of obtaining, preparing, and evaluating genetic samples make this career a great match for people who are painstakingly accurate and consistent. The road to becoming a cytogenetic technologist usually involves obtaining a bachelor's degree in biology, chemistry, or medical technology, followed by a certification exam and at least one year of real-world experience. ISTJs with an interest in science and a keen eye for detail might consider a career in cytogenetic technology. Medical transcriptionists, or MTs as they are known in the medical industry, listen to voice recordings made by doctors and nurses and convert them into text format for the purposes of reporting and record keeping. 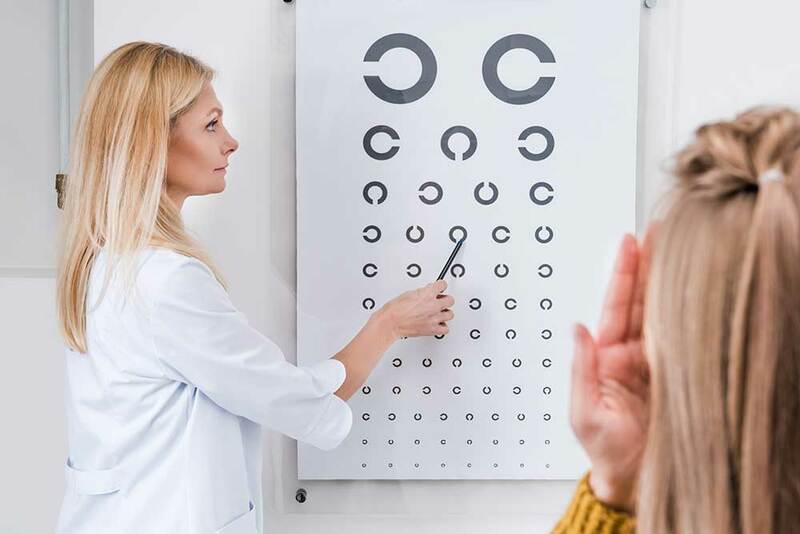 MTs must have an exacting eye and ear for detail, accuracy, and consistency, as the reports that they create reflect patients' health histories. While some medical transcriptionists are self-employed, most work for hospitals, doctors' offices, or third-party transcription service companies. Medical transcriptionists usually work independently, making this position ideal for ISTJs who are interested in working in the medical field but are wary of social interactions. Embarking on this career path involves a number of certified medical transcription training programs that may take anywhere from six months to two years to complete. Program completion results in a certificate or college diploma. Pathologists are scientists who study the origins and effects of diseases by analyzing bodily fluids and tissues. Common specialties within this field include genetics and forensics. In their day-to-day work, pathologists must be honest and definitive - two traits exemplified by ISTJs - in order to conduct tests accurately and arrive at correct diagnoses. To work in this field, apiring pathologists will need a medical degree, including a multi-year residency, followed by certification in the field. Histotechnologists conduct tests to expose tissue irregularities and identify treatments for the diseases causing those irregularities, while histologic technicians use dyes and chemicals to study cell structure and the development of tissues and organs. Regular duties for both job titles include cutting and staining tissue samples according to lab standards and then mounting the samples on glass slides and examining them under a microscope. ISTJs have sharp, fact-based minds, and their precision and dedication to their work make them ideal candidates for positions in histotechnology and histologic technology. While an associate degree may enable entry into this profession, a bachelor's degree in medical technology or life sciences, combined with up to two years of training, will lead to greater job opportunities. Law and criminal justice jobs are natural professions for ISTJs, particularly because these jobs require high amounts of integrity. The top job on this list, judicial law clerk (#1), requires a J.D., while the other careers only require high school diplomas or certificates. Annual median salaries for these jobs range from $48,000 to $78,000. Judicial Law Clerks are professionals, usually attorneys, who assist judges with court cases by conducting research and preparing legal documents. The myriad duties they may be assigned include writing bench memos, orders and opinions, verifying citations, and assisting the judge with courtroom proceedings. Judicial law clerks are bound by established ethical standards and must exhibit professionalism at all times in the courtroom. ISTJs rely strongly on facts over assumptions when making decisions, and excel at choosing the most logical and practical course of action, making them prime candidates for this career path. The steps to becoming a judicial law clerk are intensive and include obtaining a bachelor's degree and a law school Juris Doctor degree, and passing the Bar examination. Intelligence analysts are government employees who analyze information in order to detect and prevent threats from foreign and domestic enemies. They may be responsible for obtaining information from people, databases, surveillance and other government agencies. Their job can be demanding and has strict entry requirements that include critical thinking, writing and analytical abilities. Entry into this career requires a minimum of a bachelor's degree, preferably in criminal justice, social studies or social science. Job acceptance will typically be followed by on-site training that may last weeks or months. ISTJs are well suited for this career path, as they are known to adhere to moral and ethical principles, and are strongly dedicated to their work. Private detectives and investigators assist individuals, businesses, and law enforcement agencies by providing research, surveillance, and interviews for ongoing investigations. It is their job to gather and analyze information that will help solve a case. They are often hired to locate missing persons and may be employed by private parties, businesses, agencies, or attorneys. ISTJs are well suited for this career path, as they rely heavily on logic and factual evidence to make decisions and solve problems. Those interested in pursuing this line of work may seek employment without prior qualification and learn on the job, or they may obtain a bachelor's degree in criminal justice or political science. Both paths may entail certification or licensure. Court reporters produce official transcripts by transcribing spoken or recorded speech into shorthand. They generally work in court rooms, but may also find work transcribing speeches and meetings. They use stenotypes and video and audio technology. Since their finished work represents the official and legal transcript of a court case or other event, court reporters must possess the ability to maintain full concentration while accurately transcribing speeches for long periods of time. They must also be dutiful, responsible, and honest, all known characteristics of ISTJs. Becoming a court reporter involves graduating from one of only 34 NCRA-approved programs for court reporters, and then meeting state licensing requirements. ISTJs who are passionate about science and engineering will find that all jobs on this list require very little social interaction, the maximum rating being 2.55/5 for the position of operations research analyst (#1), a which job also has the highest projected growth rate of the group at a whopping 27.4%. All median annual salaries on this list are above $79,000. Operations research analysts use sophisticated technologies to create new models and systems that help businesses and institutions operate with greater efficiency. They work in a wide variety of industry sectors. Typical projects might include streamlining new medical treatments or achieving greater flow within a supply chain using optimization as well as data and statistical analysis. ISTJs are know to prioritize factual evidence when making a decision, and are therefore ideal candidates for operations research analysts. A bachelor's degree in mathematics, physics, computer science, or engineering is generally sufficient to gain entry-level employment in this industry, although a master's degree concentrating on advanced study in mathematics and computer science is recommended for career growth. Biochemists and biophysicists are scientists who research and analyze the chemical and physical foundations of life and organic processes. They split their time between lab experimentation and data analysis. Their work requires high-level knowledge of biological processes and fastidious attention to method and detail. Obtaining a bachelor's or master's degree in biochemistry or biophysics can lead to entry-level employment in this high-growth industry, but a PhD is required for work in independent research and development. Chemical engineers use math, physics, chemistry, and biology to develop and improve commercial production processes. They oversee these entire processes from conception through the lab and modeling stages to the completed industrial application. They may be involved in the production of a wide array of products ranging from liquid fuels and synthetic rubber to polymers and electronics. Chemical engineers must posess a high degree of competency in numerous areas. 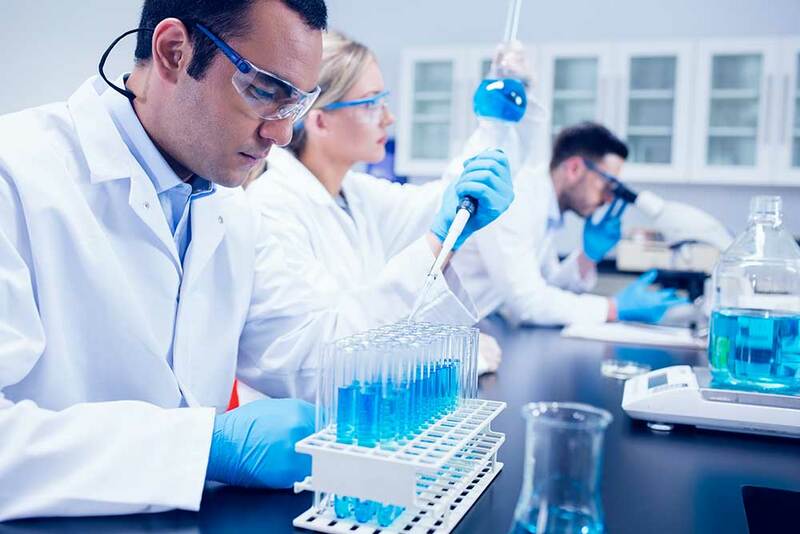 They may work in laboratories, offices, and production facilities, engaging in daily activities as diverse as testing, modeling, and overseeing manufacturing processes. Aspiring chemical engineers should obtain a bachelor's degree or higher in chemical engineering or a related field, and then complete an internship to gain experience. Nuclear engineers use the principles of nuclear physics to devise the means by which nuclear energy and radiation can be used for commercial purposes. They may work for nuclear power stations, for the military, in the medical industry, or in industrial settings. Much of their time is spent in offices, designing, building, or running advanced machinery and equipment. Nuclear engineers have a huge amount of responsibility and must be dependable. For this reason, ISTJ personality types do well in this position. Those interested in entering this field should complete a bachelor's degree in nuclear engineering and consider obtaining a master's or PhD. Cooperative-education engineering programs provide students with crucial experience, increasing their chances of getting employment upon graduation. ISTJs who enjoy working with their hands will be well-suited to the trade and production jobs on this list. To succeed in these positions, ISTJs must utilize their naturally strong tendency toward dependability to ensure that technical issues get fixed quickly and efiiciently. The jobs listed here require high school diplomas or postsecondary certificates. Nuclear power reactor operators manage nuclear reactors. This involves monitoring and adjusting various mechanical systems including control rods, reactors, turbines, generators, and cooling systems. Operators must also keep data records and execute emergency protocols in the event of accident or malfunction. The job of a nuclear power reactor operator requires a high level of competency and integrity, making ISTJs strong candidates for this career. Those interested should take math and science courses in high school to prepare for this position, which requires completion of a high school diploma. Aircraft mechanics and service technicians maintain and repair helicopter and aircraft mechanical systems. They may need to inspect, diagnose, adjust, service, or overhaul engines, hydraulic systems and pneumatic systems. They have the huge responsibility of keeping military and civilian aircraft in safe operating condition, and must be dependable individuals. ISTJs who are interested in working with aircrafts and have a background in engineering are strong candidates for this position. This job requires a wide array of knowledge and skills related to mechanics, mathematics, and engineering, as well as the ability to use advanced software. Aircraft mechanics and service technicians usually become certified at an FAA-approved aviation maintenance technician school, though many receive training in the military. On-the-job training is also crucial in this industry. Printing press operators are responsible for running numerous kinds of printing machines including digital, lithographic, flexographic, gravure, and letterpress printing presses. They spend their days problem-solving, making repairs, performing maintenance and inspections, and running various types of diagnostic and printing-related software. There is minimal social interaction required in this position, making it a solid choice for ISTJs. Industry employers will consider applicants who have obtained a vocational school degree, certification, or associate degree in this field, and have completed three or four years of apprenticeship or vocational training. On-the-job training is routinely offered. Quantitative Analyst: Job Description & Average Salary. Investopedia. https://www.investopedia.com/articles/professionals/121615/quantitative-analyst-job-description-average-salary.asp. How To Become An Appraiser. Appraisal Foundation. http://www.appraisalfoundation.org/imis/taf/how_to_become_an_appraiser.aspx. Investment Fund Manager. All About Careers. https://www.allaboutcareers.com/careers/job-profile/investment-fund-manager. Medical Transcriptionists. Bureau of Labor Statistics. https://www.bls.gov/ooh/healthcare/medical-transcriptionists.htm. Medicine's detectives: Pathologists master the art of diagnosis. American Osteopathic Association. https://thedo.osteopathic.org/2013/05/medicines-detectives-pathologists-master-the-art-of-diagnosis/. What Is Histotechnology? National Society for Histotechnology. http://nsh.org/what-histotechnology. Duties of Federal law Clerks. United States Courts. https://oscar.uscourts.gov/duties_of_federal_law_clerks. Intelligence Analysts. Federal Bureau of Investigation. https://www.fbijobs.gov/career-paths/intelligence-analysts. What Is An Operations Research Analyst? U.S. News. https://money.usnews.com/careers/best-jobs/operations-research-analyst. Biochemists and Biophysicists. Bureau of Labor Statistics. https://www.bls.gov/ooh/life-physical-and-social-science/biochemists-and-biophysicists.htm. Chemical Engineers. Bureau of Labor Statistics. https://www.bls.gov/ooh/architecture-and-engineering/chemical-engineers.htm. Nuclear Engineers. Bureau of Labor Statistics. https://www.bls.gov/ooh/architecture-and-engineering/nuclear-engineers.htm. Brokerage Clerks. Bureau of Labor Statistics. https://www.bls.gov/oes/current/oes434011.htm. Nuclear Reactor Power Operators. Bureau of Labor Statistics. https://www.bls.gov/oes/current/oes518011.htm. Aircraft and Avionics Equipment Mechanics and Technicians. Bureau of Labor Statistics. https://www.bls.gov/ooh/installation-maintenance-and-repair/aircraft-and-avionics-equipment-mechanics-and-technicians.htm.